Looking to build a stronger bond with your dog? We can help. Helping you better communicate with your dog is our passion. Whether your end goal is an all-around, well-mannered dog, a competitive champion, or the resolution of serious behavior issues, we can help. Clear, positive communication and the ability to read what your dog is attempting to tell you are the foundation of a healthy relationship between you and your dog. Here at Lead Me On, we utilize positive methodologies based on the science of behaviorism. These positive methods focus on your dog’s specific behaviors, their environments, and forming a healthy relationship between the two. 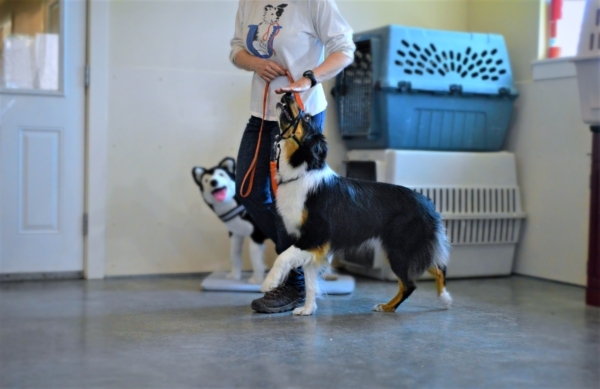 With our science-based positive training approach, we focus on helping your dog develop the skills necessary to find success and conquer any type of environment. Does your dog lack home manners? Public manners? Have special needs? We can help you identify the issue and and create a management plan that includes setting up an environment where your dog can only practice desired behaviors. In turn, the environment will restrict your dog from practicing undesired behaviors. 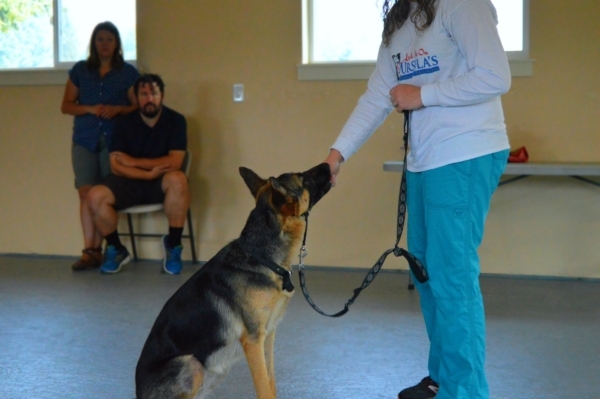 You will have the opportunity to learn skills on how to best handle your dog in environments where you have less control — so your dog can be a success. Some dog behavior issues are a result of a health or medical condition. We have an extensive history of working with local veterinarians to identify causes of behavior — especially when there are health related reasons. Veterinarians focus on the influences on your dog’s health, and we focus on the motives of behavior. By focusing on positive training methods instead of bad behaviors, your dog will begin to trust you and be more inclined to do what you want. When you only focus on the negative behaviors, you become a source of anxiety for your dog. By rewarding for positive behavior, you can begin to developing a strong friendship between you and your dog — and we can help. Build a stronger bond with your dog. Sign up today! Please complete the following questionnaire to help us find a package that best fits you and your dog’s needs. 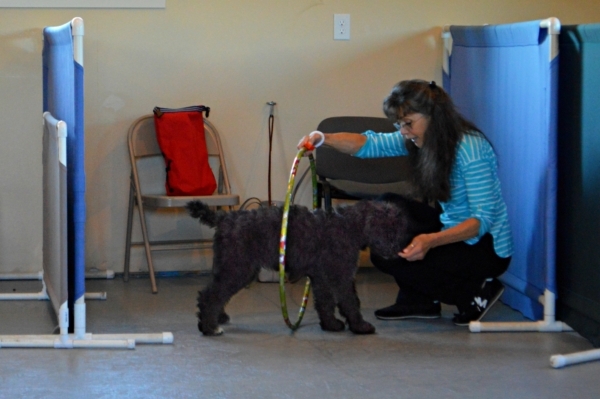 In private lessons, we watch you train your dog and provide guidance in real-time. The focus is to teach you how to train and best communicate with your dog. Your instructor will help you craft a training plan tailored to your individual needs, then coach you on the skills needed to be successful. Supplementary homework will be provided between lessons to better help you reach your overall goals. Struggling with a behavioral problem beyond your skill level? 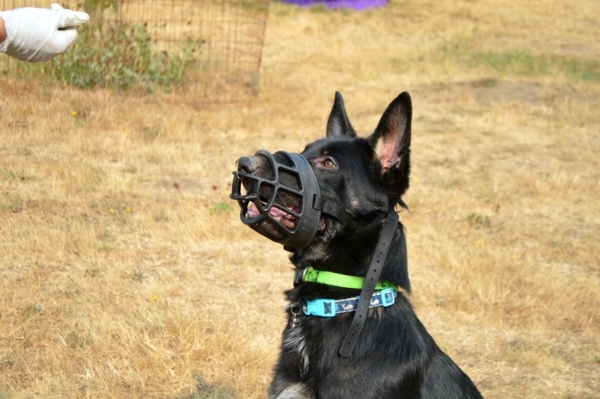 Looking to expedite your dog’s training process? 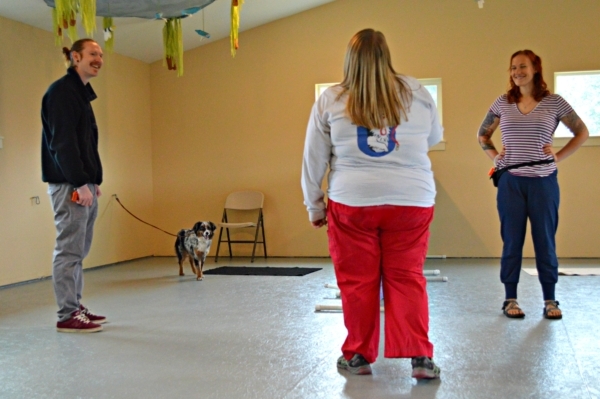 In day training, one of professional trainers will train your dog for you, so that you don’t have to. In addition, you benefit by being able to observe and receive guidance on the methods we use and why — so you can begin using them right away at home. In many cases, supplementary homework will be provided to help you better reach your goals. Day Training is the equivalent of Board-and-Train and Private Lessons combined into one package. Does your dog get over stimulated in public and ignore your voice? Does your dog react to the door bell or go out of his mind when you or your guests arrive? Does your dog seem to get upset over ordinary, everyday things? The list can go on. 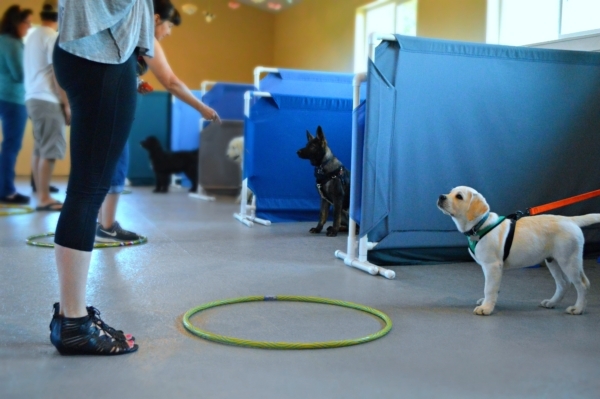 In this course, we focus on teaching you how to properly socialize your puppy — providing you with an extensive amount of socialization opportunities in the class itself. The first few months of your dog’s life is the most critical for their development into adulthood; a period of their life where it’s necessary to imprint that new environments aren’t scary. In our enriching farm environment, your puppy will have the opportunity to interact with humans and animals of all kinds, including our ducks, geese, sheep, and chickens. A supplementary puppy class book will be provided upon registration for this course. Ready for a positive experience?